"The memories can't be erased, the pain they've endured can't be fixed but today we have an opportunity to provide closure to these families in the form of an apology", Rep. Bobby DuBose, who sponsored the bill that called for their pardon. But the local sheriff, Willis McCall, shot and killed one of them in cold blood, claiming he tried to escape. That history began in 1949, in the heart of Florida, on a dead-end rural road outside the town of Groveland. Shepherd and Irvin received the death penalty. Officials arrested and threatened family members of the suspects, and white mobs rioted, burned down Shepherd's home and demanded the suspects be lynched. A white posse of about 1,000 men was formed to hunt down Thomas. A posse appointed by McCall tracked him to Madison county, nearly 200 miles away, three days later and shot him dead, a murder later ruled a "justifiable homicide" by a coroner. 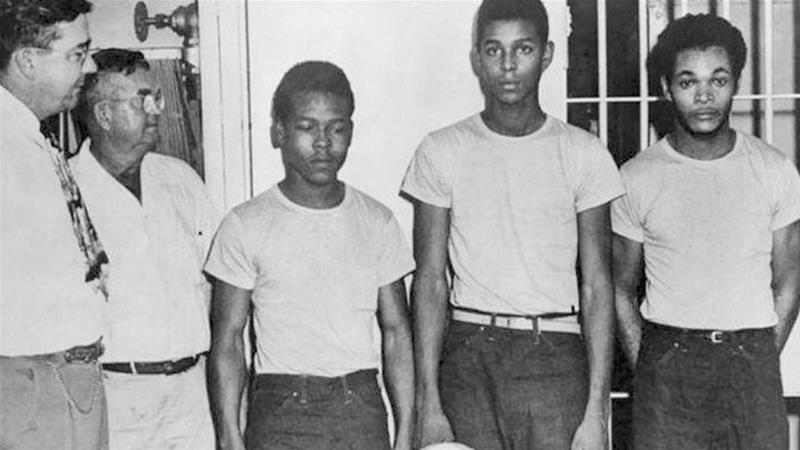 Irvin and Shepherd, both World War II veterans, were sentenced to death. They appealed again, but the U.S. Supreme Court denied the case. The alleged victim, Norma Padgett, then 17, and her husband Willie, 22, who had a reputation as a violent drunk, claimed they were approached by the four men on a rural highway in July 1949, after their auto broke down as they returned home from a night out. Irvin was wounded, Shepherd died on the spot. Irvin was later re-convicted after his second trial was moved to another county - but had his sentence commuted in 1955 by Governor LeRoy Collins, who decided that neither jury had proven him guilty beyond a reasonable doubt. "I'm begging y'all not to give the pardons because they did it", Padgett said. "If you do, you're going to be just like them". "Only three days into his new administration, we applaud the Governor and the cabinet for making this issue a top priority", said Glenton Gilzean Jr., President and CEO of the Central Florida Urban League in a statement. Norma Padgett, who was 17 at the time, claimed she was dragged from her auto, raped and threatened. Author Gilbert King wrote a 2013 Pulitzer Prize-winning book on the Groveland Four's story, titled "Devil in the Grove". "He wasn't there for birthdays". He wasn't there to help with homework. "It's like waking up out of a nightmare, out of a awful dream", Carol Greenlee said.